Vehicle relocation is often a must when it comes to moving. You can use your car to transport things and drive yourself, and your family to your new home. In many cases, when the trip is long distance, transporting your vehicle is a convenient option, you’re saving from miles, you won’t need to be on the road for long hours with someone else will doing it for you, plus your vehicle will be better protected in the trailer than if it is on the road. Vehicle relocation services are a great option with many advantages. Transportation of vehicles takes place in two ways. The first is through a carrier, with the second through a broker. What is the difference? Carriers are the companies that directly take and ship automobiles. The brokers are the companies that organize the shipping but do not offer the service themselves. Usually hiring a broker is more expensive because you pay the carrier and you also pay the broker’s fees. Besides, it is the broker that chooses the auto transportation company, not you. On the other hand, the broker will handle for you the vehicle transportation, including payments and paperwork. You can decide for yourself which one of the two transportation options for vehicles suits you best. Woody and Sons has you covered with their residential moving services so that you have more time to research and learn about other factors and information going on with your move. If you have a car, the transportation will be easy. For other vehicles, especially larger ones, you should first inquire if the vehicle transportation companies offer the services that you need. Many car movers will pick up a SUV, ATV, even trucks. Anything over that will require a check, before you can proceed to getting a vehicle transportation quote. Woody and Sons offers long distance moving services to help anyone move across the state of Florida, to all the way across the country. The quote is to get you information about the possible cost for your vehicle transport. Both the broker and car mover will need to know the vehicle type, its length, height, width, weight, year, make, model, if it is operable, convertible or modified, and the distance of your move. This is how they will be able to tell you the price for the transport of your vehicle. Of course, the price will also differ according to whether you choose a carrier, or a broker, and it will also depend on the prices that the different companies apply. Transporting a vehicle from state to state is also more expensive than short distance moves. If you are moving your business or office, Woody and Sons offers business moving services as well. It is important to give true information to carriers. If you misrepresent your vehicle as running, if it isn’t, in an attempt to save from the costs, then the transporting company may not be ready with the right truck and equipment to move your vehicle. That would cause the time the truck took to arrive to you will be wasted, and it will only cost you more. Regarding the size of your vehicle, the vehicle transportation companies need this info to choose the best option for a moving vehicle. You can read more about the cost to ship a vehicle, explained in details, in this article. If you are trying to save money, or just have a small move, Woody and Sons can still assist you with labor only moving services, to help give you an extra hand with any moving. It has to be a reliable company, fully licensed, bonded and insured. And this is something that you have to check, especially if you will be moving your vehicle overseas. 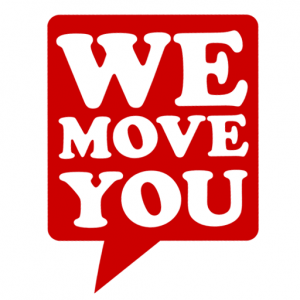 It could be difficult to find the right moving company for you, the one that you can really count on, especially if you don’t know any company yourself. That is why it is advisable to use the opportunity to get a quote from us, as we provide a guarantee. It could be taken from a terminal or from your home. And it could be delivered to any. Terminals are convenient because you may not be able to be present when the truck is available to pick up the vehicle and inspect it, and take the keys. Also, a move from a terminal or to one, are cheaper. All you need to do is select a terminal with the vehicle transport company and agree on when to deliver your vehicle. Be ready to be informed how long the transportation will also take depending on the two means that you choose, through a terminal or from your home. You will usually be asked to pay a deposit for the move. Or you can pay in advance the whole sum, depending on your preferences. Beware of the companies that accept payments only in cash – usually this is one of the signs of moving scam that you should be careful with. Most companies will take a credit card, a bank wire transfer or a check. Discuss this option with them and choose a method of payment that is convenient for both of you. Some auto shipping companies also accept other methods of payments, just ask, depending on what is convenient for you. Transporting a vehicle interstate is more complicated so always have ample time before contacting a shipping company. Always check the company before you book it – read reviews, check the USDOT number and the memberships at the Better Business Bureau. Follow the mover’s instructions strictly. If for instance you were asked to not place anything inside your vehicle, it is for safety reasons. Read well all the paperwork before signing it. Don’t sign on blank sheets. Don’t give money without a document proving you have. Always stay informed of the carrier’s policy on damages. What will happen if the mover damages your vehicle – what is the procedure for you to be reimbursed? Are you thinking about moving to a new city, neighborhood, or state? Many people make moving more complicated on themselves by not going through a quick and easy checklist before deciding on moving to a new place to live. There a few key things to think about before moving to a new city. Are you moving into a big city, a suburb, or an explosive real estate neighborhood? You should also know what the job market is like in the new location so you will be able to sustain living there. Other factors include crime rate, children, hobbies and leisure, and activities going on in your town. Woody and Sons has you covered with their residential moving services so that you have more time to research and learn about other factors and information going on with your move. The first thing to be clear about is the type of city or neighborhood you are moving to. How do you personally adapt to living in a big city, suburb, or up and coming neighborhood. 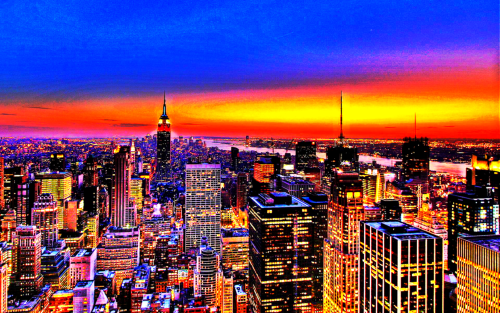 Some people love the fast pace, never stopping atmosphere of big cities such as New York City and Chicago. Others enjoy a slower pace of living out in a suburb. There is always the exciting feeling of living in a new neighborhood on the rise with new houses being built every day and new people flowing into your town. Before anything else, you will need to decide which type of living will fit you best. Woody and Sons offers long distance moving services to help anyone move across the state of Florida, to all the way across the country. The next, and most likely the most important factor in moving, is the job market. The number one reason for moving is for employment, a job, possibly a career. Are you being asked to move for your job, and in that sense already locked down employment in your new place of living. If not, researching the job market will be the most crucial thing you do. Are there available positions in your field, does the business bring in enough customers, revenue, or produce enough service? You will also want to check the unemployment rate in your new city, how many people were laid off in your field in the past year, and how many people were hired in your field. All these are factors of how will you fit in to the current job market so that you can continue living in your new home. The second factor to think about when moving to a new place is the crime rate. Finding the crime rate in your new town is crucial because it will show how safe your town is and how safe you will be in your home. The crime rate also has a large impact on the prices of real estate. If you are moving your business or office, Woody and Sons offers business moving services as well. If you have children or plan to have children you will need to look at the school district, available playgrounds and parks in your neighborhood, clubs and sports offered nearby, and activities to do outside of school. Most parents want to send their kids to the best school, so researching into where the best schools in your district are, should be the first task on your list. Is your child in a specific club at their current school? Checking to make sure it is offered at a new school will be vital to keep their interest in this club. Another key topic to check in to is nearby playgrounds and parks. Every child needs to be doing physical activities outside to stay healthy. Are there playgrounds and parks nearby that your children can run around and interact with other kids at? Also, making sure the sports they are interested in are offered close to your new home is another key aspect to take into account. Lastly, checking into what other activities are offered nearby for day trips and summer vacation days. Is there a theme park nearby, a community pool, museums or other activities to keep your children interested in their free time? The last thing you should check into when planning a move is the activities and nightlife offered in your new town. If you enjoy working out, you will want to check what gyms are nearby. Are there concerts, events, and other activities offered weekly or monthly? If you enjoy going out or even if you don’t, checking into seeing what type of nightlife is going on around you is an important part to keeping you enjoying your time living in your new home. If you enjoy going out, try visiting first to see what nightlife you enjoy near you. If you don’t, checking with store owners or other locals about the night life will give you insight on any disturbances, safety, and other factors that could be affected by night time activities in the area. If you are trying to save money, or just have a small move, Woody and Sons can still assist you with labor only moving services, to help give you an extra hand with any moving. Next time, before taking the big step to making a move, use this short checklist on choosing your new neighborhood, researching the job market, finding out about children’s activities, and your own personal hobbies will help make the move and settling into your new home a bit easier. Moving into a new apartment can be an exciting process. They are different from living in a house, and depending on if you rent or own the apartment, can require a greater amount of attention when first moving in. Whether you have lived in an apartment before or this is your first time, there is a few topics that we will cover that will help you in the process of moving into an apartment. Moving into an apartment could be your first time living without your parents, and on your own. It is an exciting feeling, but requires work and dedication to keep your apartment experience up to your expectations. Every rental agreement is different, as is every landlord, meaning that you will need to prepare yourself to be adaptable in many situations. If this is your first time moving, or tenth, Woody and Sons has you covered with their residential moving services. The first thing to do when thinking about moving into an apartment for the first time is the selection process. The apartment is not the only thing that matters, but the location as well. Is it a safe neighborhood? Are there job offers that can provide you with an income to satisfy your needs? You will also want to look at the crime report to see what kind of city your apartment is in or nearby. How has real estate been developing in the area? For any location, Wikipedia is a great source to research these questions. You can check out local businesses, and if you already own one, or plan to, Woody and Sons offers business moving services as well. After selecting your apartment, you will want to begin the packing and moving planning. You will want to select which items you will want to take with you, and that will fit in your apartment. Does the apartment come furnished or will you need to provide your own furniture? In a past blog post, we spoke about how to design the perfect floor plan. The floor plan will drastically increase or decrease the size of areas in your apartment you are able to use proactively. As well as planning which items to move, you will want to go to the apartment to measure the doors, hallways, and windows to make sure your items will fit into your new apartment. If it will not fit as is, dismantling is always an option. If you are trying to save money, or just have a small move, Woody and Sons can still assist you with labor only moving services, to help give you an extra hand with any moving. Moving into a new apartment sounds like a dream when you are first discussing it, but until you have actually done it or experienced helping someone else out, will you realize the tall task that moving is. Woody and Sons can help make the moving process less stressful, more organized, and overall more efficient for you. If you have a long move ahead, Woody and Sons offers long distance moving services to help anyone move across the state of Florida, to all the way across the country. The next step in your moving process should be to learn about the building. How is the building? Has it had any recent renovation? You will want to check for mold, rodents, bugs, and any other troubling signs. Most people do not search or ask about these problems before moving into apartments. If the area gets a lot of rain, you will want to check in to find out about any leaks that may involve your apartment. You will find better information by talking to people who already live there and their experiences, rather than just the landlord. You will want to compile a list of things that really matter to you and as you go through the list, decide what is going to make or break you from moving into this apartment. When talking to the landlord and current residents, start with basic questions and then lead into more specific inquiries. You have the right to know these answers; so do not hesitate to get all your questions answered. Lastly, you will want to carefully read your rental agreement. It contains important information about the conditions under which you are to use your apartment. If you have pets you will want to see where they fall into the rental contract. You will want to review termination agreements, and anything that could put you in jeopardy of losing your apartment. Read and make sure that you have covered all of the key points and understand them. It will be a big surprise moving into your own apartment for the first time. Even if you have covered everything in this article, there will always be more unexpected situations that you will need to adapt to, to continue enjoying apartment life. If you want, throw a welcome party to get to know your neighbors, invite some friends, and have a good time. This will give you a good chance to mingle and get to know new people living around you. No matter what, enjoy it, it is your first experience. You will learn new things and see what you need to change in order to continue to have a great first apartment experience. Moving is tough for everybody because of the time, effort, and energy it takes from you. Planning a move can take a lot of energy to organize everything and try your best to make sure the job is done correctly the first time. It takes money to pay for a move, it is stressful on your mind and body, and usually consist of leaving your current friends and family behind. It is difficult for anyone to relocate without any stress or worry. That is why it is important to understand why people finding moving difficult, and how Woody and Sons makes moving easier. To help make a move easier and less stressful, it is good to know what you’re getting into ahead of time, and understanding and focusing on what is at hand. This will help you pay more attention during the relocation and allow you to focus on what needs to be done. Woody and Sons offers residential moving services, that allows the easiest move possible for their consumers. Moving is a time consuming process. From deciding what to pack or leave, taking time to purchase packing materials, choosing a moving company such as Woody and Sons, and looking for a new place to buy or rent, a move could take months, and sometimes a year, depending on how large it is. Woody and Sons is determined to make your move less stressful, better organized, and more efficient than any move you have had before. A way to shorten the process of a move and decide what needs to be done for you in a move is to get a free moving quote. Moving is expensive as well as time consuming. You have to purchase packing material; how many boxes will it take to pack your current home? You will have to get packing paper, packing peanuts, bubble wrap, tape, and much more. To not run into the problem of being short on packing material, Woody and Sons can help you throughout the whole process and make sure you are ready for the move, and making sure you and all your belongings get to your destination safely. If you own a business and need moving expertise, Woody and Sons has you covered with professional business moving services. The cost of living is another factor when moving to a new place. In the first month or two you will want to make sure you have sufficient financial supplies to make sure you can continue to live in your means until you start getting paid from your new job. If you have family with you, such as kids or spouse, you will need to consider their expenses as well. You will need to do research for the cost of living in the part of the country you will be living. The salary you currently are receiving right now may not be enough for you to sustain the same lifestyle in a different U.S. state. If you are plan on moving from Tampa or Orlando, across country, Woody and Sons offers long distance moving services. Moving is a stressful process from beginning to end. Moving changes almost everything in your life. It could even change the way you treat and take care of yourself. If you are determined to get all the moving done in a set time, you may miss meals, not be able to exercise, or just take a moment for yourself to relax. If you are moving to a different climate, or a new job, you may not have time to settle into your new home or find places similar to activities you did back at home before starting your new job. With the move you get a lot of changes a new place to live, a new job with new colleagues in a new place, new friends, new places to go to and enjoy, and so much more. A move changes your life and it could also change your lifestyle. It gives you so much new things that you and your family need to adapt to, that it will take you time, and some effort and patience on your behalf could make things better quicker. Moving is hard work how you will do it and what you achieve with it is up to you. Enjoy the new start in your life, hope for the best, look for things to enjoy in your new life and you will surely make it worth! Moving is a tough job, it takes lots of your time and can cost quite a lot, too. In the midst of so many things to do like figuring out how to pack your belongings, what to take, switching utilities, collecting records, etc. you have so many other little, but important things to take care of. For example, packing your precious shoes. Shoes are a necessity today, they could be a symbol of personal style and class, but even if you buy shoes only according to how comfortable they are, this article is for you. Here are our easy tips for packing shoes when moving. First, you could separate the sorts of shoes you have for packing: sandals, high-heeled shoes, boot, etc. and place them into groups. Separate those that you won’t wear any longer and decide what to do with them. You have garage sales and charity available or you could just give away the pairs you won’t use any longer. With the rest, it is time to examine their condition and clean up the pairs that need it. Once you are ready, take those pairs that you are using for a different season, in other words you won’t need them in the next few weeks or even months, and get ready to pack them well first.Woody and Sons offers residential moving services that can accompany anyone when moving, especially with clothing and shoes. After you have cleaned your shoes, dry them well because moist can cause mold to develop and you don’t want that. Keep your shoes dry and clean before packing them in order to protect them at their maximum. You could let them dry for a few hours before packing them. When packing shoes for moving, it is recommended that you use boxes, strong, sturdy cardboard boxes. Do you keep your shoes in their original boxes? If so, this would be the best way to pack them. If not, find other boxes of a similar size. If you decide to get boxes for free from supermarkets, make sure they are not torn and that they are clean, without any dust or spots which could transfer on your shoes. Woody and Sons has business moving services to help prepare and execute a checklist for Tampa Bay Business moving. If you cannot find enough small boxes, get bigger boxes and pack more pairs in one box. Besides boxes, you will also need packing paper, a permanent marker, tape and scissors. Always wrap shoes in pairs for easier unpacking. So now how to pack your shoes for moving? Fill in shoes with crumpled packing paper, not newspapers because it could leave stains on your shoes, all the way up to keep their shape when in transit. Take a sheet of packing paper and your first pair of shoes to pack, place one pair on one of the ends of the sheet and roll it until the shoe is completely wrapped in packing paper, then add the second shoe and continue wrapping until you have made a nice bundle of this pair. This is how to pack all of your shoes besides the boots. You should wrap each boot separately in paper. After that, put in a separate box those pairs that have their own box. Then take a bigger box and place the boxes with the heaviest shoes at the bottom. Lighters shoes should go on top of other boxes with heavier shoes. After each layer of boxes and shoes you pack, place a clean sheet of packing paper. If there are any empty spaces in between the boxes and pairs of shoes, use crumpled paper to fill up those. On top of boxes with shoes, you can place shoes that do not have boxes. Arrange boots next to each other. Place a sheet of pacing paper and tape well the cardboard. On the box use a permanent marker to write the name of the owner and the content of the box. Pack first shoes from a different season, for example, if you are moving in the winter, pack the summer shoes first. This is a good approach when packing shoes for moving because you can label those boxes and unpack them later. You won’t need them until summer anyway. Pack in a separate box shoes you will need after you move in to your new house or apartment, or soon after the moving date. Making a long distance move is very challenging, especially when it is into a new city that you are unfamiliar with; Woody and Sons provides long distance moving services. Load in the truck first boxes you won’t need right after the move and put in the moving truck or trailer last boxes with shoes you wish to unpack after you relocate. In the moving vehicle do not place heavy things on your shoes because this could deform them. If moving in rain or snow, make sure you protect your boxes from the moist because it could destroy your shoes. Once you have loaded your boxes with your shoes packed in this way, they are ready to be transported. As you can see, packing shoes for shipping is not a tough or difficult task. But still, if you don’t want to do it yourself or don’t have time, you can get a quote and ask movers to do all the work there is while you are having a rest or spending quality time with your family or friends. Warm weather is great; you can take long walks, go jogging in the park, go sunbathing and swim in the water or an open pool… There are so many benefits of moving to a warmer climate, plus a few disadvantages. A move is stressful enough and when you add changing the environment and the climate, you get another aspect of your move to consider before relocating. That is why before moving to a warmer state you should be aware of its most important pros and cons so that you can take an informed decision about your move. Warm weather is good for your body. Lots of the organs and systems in your body function better in warm weather because of the benefits of the sun: lungs, heart, bones get stronger, the immune system is strengthened, the memory is improved, etc. Plus, the sunlight causes more of the hormones of happiness to be produced in your body, the stress hormone production decreases in the sun and melatonin, which makes us sleepy, is also produced in smaller quantities. There are many things to do outside in warm weather and have lots of fun! The sun will make you healthier. Even a small time that you spend in the sun can help your body create Vitamin D which is good for your body in many aspects and can prevent cancer. The sunlight is proven to have direct positive influence to your self-esteem and your mood, and people living in a warmer climate are less prone to depression and suicide. Also, according to statistics, the mortality rate is higher in areas with colder weather. If you are moving to a new residential area in a warmer state, or even to a colder state, Woody and Sons offers residential moving services. There are many outdoor activities you can enjoy. Unlike when it is cold outside, summer offers many things to do. When it is snowing, foggy and windy, the last thing you want is being exposed to the low temperatures, right? In the cold you usually prefer to stay at home, in front of the TV or computer, and don’t feel like going out as much as you do in summer and when it is warm. Sailing, fishing, sunbathing, jogging, picnicking, swimming are just a small part of all the fun things you could do in a warm climate. Can you think of more? Another great reason is that it is good for the kids. Would you prefer it if your kids stay at home and play video or computer games because it’s whizzing outside and they cannot go out, or if it is nice and warm outside and your children can play in the yard, with other kids or do sports after school? If you are moving, and already have a truck, but are needing a helping hand, Woody and Sons offers labor only moving services for all of their existing and new clients. Warm weather is a beautiful thing. Sometimes storms, rain, snow, fog, etc. can prevent you from seeing anything outside your window, while in a warmer state you can enjoy more the clear blue sky, sunrise, sunset, you can see through your window, the flowers are blossoming also which makes nature even prettier. It is up to you to decide what you like better, snow or sun, but this was just another aspect for you to compare and take into consideration. With you making the choice between snow or sun, no matter what, Woody and Sons can help anyone make a long distance move with the moving services they offer in the Tampa Bay and Orlando areas, and around the country. There are some disadvantages to moving to warmer weather though. These include: bugs, insects, spiders, etc. are more and bigger in a warmer climate. They don’t just bite and sting, but they can also transfer diseases. When living or moving to a warmer state, use products that will keep away those little nasty things. Use nets for the doors and windows of your new home and skin products to protect yourself from mosquito bites. No white Christmas. There are some states that have little or no snow around Christmas, which means no throwing snowballs in the yard and no making of snowmen. You may not be fond of snow or you may be, but is this your idea of Christmas family time? Of course, you can always go to the beach at Christmas time and use fake snow to have fun while wearing your swimming suit, right? No four seasons. Some states don’t have snowy winter, but they also don’t have 4 distinct seasons. Would you enjoy having no spring and autumn that can also be so beautiful? When moving to a warmer state, remember to separate items that you won’t need anymore because of the different weather like boots and winter clothes. You may also give away the snow shovels. If you have items that are sensitive to high temperature like electronics, check out their manuals to see how to protect them and plan their packing well. Sometimes it is not easy to figure this out. That is why movers can help. Moving to a warmer state with a climate different from where you live right now could be a bit of a challenge but with the help of a professional moving company you will certainly make your move much better. If you have items you are worried about because of the warmer climate you are moving to, you can ask the movers for climate-controlled shipping via airplane or truck, and such special packaging as well. It is better to take the necessary measures to protect your belongings than risk that the high temperatures to damage them. If you will be organizing your move yourself, have in mind that moving things in an open trailer will expose them directly to the sunlight and that in a van or truck the temperatures can go up because of the lack of air circulation. To minimize any risks related to your move, you could get a free quote here and hire a moving company. Isn’t it always so much easier when someone else does the dirty work? With the economy turn around we have been experiencing of late, and more people moving to “Mega Cities” and to new developing cities, there is a good chance you may have the option to live in a high rise very soon. Cities such Austin, TX and Tampa, FL are estimated to rise in population heavily by the year 2020. Many companies have been planning relocations of their headquarters to these two cities, bringing thousand of jobs with them. As these cities become more populated, you will continue to see not only the suburbs around them grow, but new buildings shooting up everywhere. If you want to live close to work to save on commute time, moving into a high rise may be the perfect fit for you. Once you have decided to live in a high rise, it takes time to consider what it will be like living in one. Bigger cities can make it challenging to find a place that fits your needs financially, educationally in case you have kids, and requirements with pets, etc. Begin searching for a new home as soon as you have set your mind on a high rise. You should explore the price ranges, locations, and policies to find yourself the best fit and deal. Woody and Sons offers residential moving services that can accompany anyone moving from a house and into a new high rise. Next, when deciding on where to live, look around and explore the neighborhood. Are you looking for restaurants, art plazas, museums, or a small quaint coffee house? You will also want to see how the neighborhood is for safety. Will you want a doorman or security on the premise? A key tip to finding the most places available is to look in the winter. Less people tend to move in the winter, which would give you less competition, but this can also mean that less people are moving out. Woody and Sons has business moving services to help prepare and execute a checklist for Tampa Bay Business moving. After settling in on your high rise and signing your lease or purchase note, you will want to consider the space you have available. High rises tend to be smaller than normal homes meaning you will need to limit what you move. This is the perfect segway to cleaning, donating, and throwing out your current stuff. You may not have the option of a garage, and in return need to have a garage sale or obtain a storage unit. After deciding what to take with you, and moving everything in, you will want to have the locks changed at your new place guaranteeing a sense of security for you and your possessions. You will also want to prepare a floor plan in advance of your move. Inventory everything you plan on moving and then set up a plan to arrange everything to take advantage of your space as best as you can. We recently wrote an article on the best way to prepare a floor plan. You can read that article here: Making a great floor plan! When moving your things in, schedule to have a parking space and elevator reserved on your moving day. This will allow ease to move things in and not constantly waiting for the elevator to come to your floor or car. Make sure to make the reservations a couple of weeks in advance to allow adequate time for the manager to make preparations. Moving into a hire rise may seem like a tall task and consist of a lot of moving parts. Woody and Sons is completely prepared to help with this process. From setting up pick and pack up, to moving in and unpacking, we can do it all. If you are planning on living in a high rise, it will be worth the time to call Woody and Sons to prepare and plan the move for you so you are not stuck carrying and moving items up to the 15th floor by yourself in a new city. Make sure you take a few months at least for finding your mover. Making a long distance move is very challenging, especially when it is into a new high rise with elevator access only; Woody and Sons provides long distance moving services. Moving into a high rise apartment or condo is a great opportunity for you to start your life all over again. This could be an exciting adventure that will take you to a new place with new neighbors, and new and interesting places.